Are you trying to slim down, tighten and tone your body? You'll lose weight more effectively if you create a weekly workout plan to lose weight. When you create a weight loss workout plan, there is no last-minute guesswork when it's time to exercise. And when workouts are planned in advance, it's more likely that you'll complete them and reach your goal weight. The American College of Sports Medicine recommends that you get 150- 250 minutes per week of moderate intensity exercise to lose weight. Does that sound like too much? Don't worry. When you are first starting your weight loss workout plan, you'll start at the low end of that recommendation. As a beginning-level exerciser, your main goal should simply be to complete some exercise on most days of the week. Choose activities that you enjoy and that are easy for you to do. Walking is a great choice for many new exercisers because you can do it almost anywhere and it doesn't require any fancy equipment. Online workouts and home strength training workouts are good for your body, too. Before you start any weekly exercise program you should check with your doctor and follow his other guidelines or restrictions to stay healthy. Then you can combine several different activities to create a full body weight loss workout schedule to lose weight and burn fat. As you get stronger and more fit, you'll be able to add a few minutes to each of your daily workouts. Be sure to add minutes gradually to avoid burnout. Eventually, you want your weekly workout plan to total 250 minutes or more for effective weight loss. Your weight loss workout plan should also get harder as your level of fitness increases. The best workouts to burn fat are more difficult to do. As you get stronger you'll be able to include them in your exercise program as long as you are healthy enough for vigorous activity. This sample weekly exercise routine includes strength training to build muscle, aerobic workouts to burn fat and flexibility training to reduce stress and keep your body healthy. To make your workout plan more effective, make sure you combine your exercise program with a healthy diet full of lean protein, fruits, and veggies. One of the most common mistakes that dieters make is to overeat after exercise. Don’t fall into that trap. Exercise daily, monitor the amount of food you eat every day and stay on track to get results. 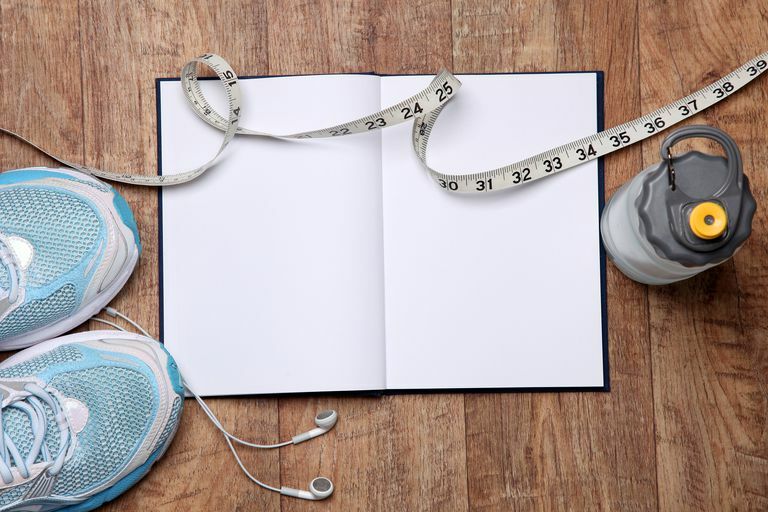 If you participate in a complete and balanced exercise program, you should see significant improvements in your body composition, your size, and your weight in one to three months. You may even reach your goal weight in that period of time. But remember that to keep the weight off, you’ll need to continue to exercise on a regular basis. Make adjustments to your weekly workout plan and find new activities that you enjoy to stay healthy and fit. Jakicic JM, Marcus BH, Gallagher KI, Napolitano M, Lang W. " Effect of Exercise Duration and Intensity on Weight Loss in Overweight, Sedentary Women: A Randomized Trial.." Journal of the American Medical Association June 2003. Kilpatrick, Marcus, Jarreau, Denise, Bartholomew, John, Kraemer, Robert. " Comparing Exercise Bouts of Differing Intensities and Durations on Post-Exercise Mood." Medicine and Science in Sports and Exercise may 2004. Orr, N, Dooly, C. " The Effects of Exercise Duration on Cardiovascular Disease Risk Factors: A Comparison of Two Groups." Medicine and Science in Sports and Exercise May 2001. Shaw KA, Gennat HC, O'Rourke P, Del Mar C.. " Exercise for overweight or obesity." Cochrane Database of Systematic Reviews 21 JAN 2009.